Alex Bunbury will lead the CPL's nationwide #GotGame Open Trials. Former Canadian men’s national team striker Alex Bunbury appeared on TSN 690 radio with Tony Marinaro to talk about the Canadian Premier League’s upcoming #GotGame Open Trials, while also sharing his thoughts on what prospective investors from his home province of Quebec might need to do in order to secure a club in Canada’s new coast-to-coast professional league. Listen to the full interview on TSN.ca. Bunbury, who will be leading the nation-wide tryouts, spoke candidly about his desire to see a CPL club in Quebec, with Marinaro offering that Laval might be an interesting option for the province. “That would be phenomenal. I’m all for that,” Bunbury said, when asked by Marinaro about a CPL club in Quebec. “Montreal, La Belleville, that’s my city man. 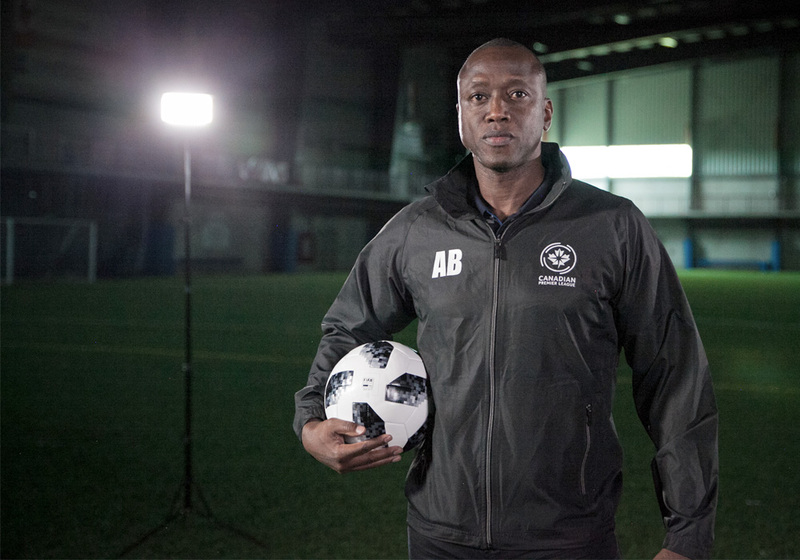 Bunbury also offered his thoughts on the importance of the upcoming #GotGame Open Trials to the growth of the game in Canada, and explained that players trying out in Montreal could have many options available to them within the CPL.